CORD leader Raila Odinga joined Kenya’s mainstream media houses in a useless grandstanding which pitted media houses against the government of President Uhuru Kenyatta. Raila, a perennial media casualty during elections may have been bidding for his friend and Media Mogul SK Macharia and the Royal Media Services empire. However, here are a few reasons why the people need to disregard Odinga and move on with the journey to the digital world. Let me prophesy, when this migration would have taken effect and the initial bottlenecks overcome; Odinga’s adversaries will remind him of his stand today. To be blunt, this was a new low of a man increasingly clutching at every issue with the vain hope that there may be a poisoned lemonade out of the bitter oranges. Long before Odinga joined the fray, the Kenyan Media industry was again at it! Not disseminating half-truths, half lies about Westgate attacks this time, but feeding the masses with complete lies in a manner most sensational regarding the Digital Migration debacle. 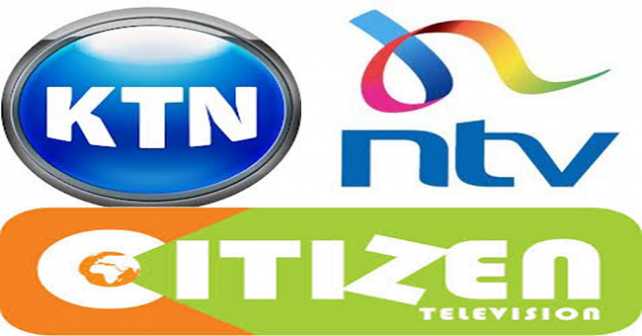 While the whole nation has been unfairly treated to a two-day of no programing by top TV stations; CITIZEN TV, NTV, KTN and QTV, Kenyans have been bewildered by the level of dishonesty exhibited by these stations. How can you explain the rationale of switching off both analog and digital signs countrywide yet the rules clearly state that ONLY analog signals in Nairobi area were to be switched off? Again, why lie to the public that â€˜your stations have been switched offâ€™ while the naked truth is, you voluntary colluded to only broadcast the high court ruling, away from normal programing? As much as the Media Owners have a point on the issue of a foreign firm (Chinese) distributing the digital signals, totally blowing this issue out of proportions to look like the whole digital migration is all about â€œmuzzlingâ€ the media industry in the public eye, is unfortunate for an industry guided by fundamental principles of truth, impartiality and honesty. Media owners are not telling you where the REAL gist of contention lies. The current media market can be best described as an oligopoly. Those who were lucky enough to step in an economics class will agree that dismantling any oligopolistic system that has been entrenched for generations is not very easy.Â The businesses in such a market will by all means try to resist the dismantling process if they are to continue making super-normal profits. This is exactly what is happening with the major media stations; the whole switching off propaganda is a self-centered battle to maintain, by all means, the market status quo cunningly disguised as a battle â€œof fighting for the over two million disadvantaged TV viewers without the required set top boxes, a requirement for the digital signalâ€. According to a research agency Millward Brown East Africa, the top 20 large companies and the government spent Ksh. 27 billion in advertising alone in year 2012! And you still wonder how SK Macharia, owner Royal Media Services made it in the top Forbes 100 richest people in Africa last year. You now know. With the analogue system- the level of investment in setting up a TV network is beyond any ordinary Mwangi, Wafula, Kibet or Onyango. Setting up the technical infrastructure to distribute the analogue signals was, and is still is, very expensive. In addition, due to restricted frequency space, Nairobi could not accommodate more than 18 channels. These two main factors virtually make television a preserve of a few billionaires; the ilk of SK Macharias, the Moi Family, The Kenyatta Families, his highness the Aga Khan and individuals who can swim in such deep â€œfinancialâ€ waters. The truth which KTN, Citizen TV, NTV and QTV are deliberately avoiding to inform you, is that with the digital system, the two factors stated above extensively change. First, Nairobi will have the capacity of hosting more than 100 TV channels since the high tech system allows for that. Second, the cost of setting up a TV station will have drastically fallen. According to CCK determination No.1 of 2013, on cost based terrestrial Digital Broadcast Signal Distribution Tariff issued last week, Digital signal distributors shall charge broadcasters at Ksh.125,990 per MB for Nairobi and Ksh. 93,202.75 per MB for other areas away from Nairobi . What does this mean? Any Kenyan, institution or an organization with as little as Ksh. 1 million will be able to own a TV station, and broadcast. What is the implication? Simple: Mohammed Doyo, an average Kenyan can start a TV station targeting specific segments of the society, sports, religion, education, Music, Fashion at a very reasonable cost. Â And of course treating you to less advertisements that have over the years dominated Kenyan TV stations. Within five years of the digital broadcasting, the market shall be fully transformed from an oligopoly to a perfect competition market. In layman’s terms, it means the 27 billion shillings that is shared among the top four media houses from advertisements will now be distributed to Robert Alai TV, Mkenya TV, University of Nairobi TV, and Gor TV among 100 others!Â Awesome, isnâ€™t it? Will these not create employment for several Kenyans, wider choices of TV stations, better viewership through clear signals, open up investments and growth of the Kenya Media sector? In the meantime, someone should tell Media owners that Kenyans are fully cognizant of their motives and seeking public sympathy wonâ€™t work. Kenyans are informed! Change is inevitable. This is why the former Prime Minister Raila Odinga should not bid for SK Macharia. In fact, his dwindling political fortune stands to gain by a liberalised broadcast market because even political parties, or friendly and party entrepreneurs, my go for their broadcast licences.